Since we cook rice at home 5-6 days a week, it was great for B and M to learn to make something they eat and experience so regularly. This video was taken over the summer in Denver, when Daisy, my cousin and Montessori teacher of 10 years, came to stay with us. B and M are 19 months here. Nowadays, I just put the rice cooker at a height they can reach, let one child pour the rice (which I’ve pre-measured and placed in a bowl) and another child pour the water (also premeasured and placed in a pitcher). And then one person gets to close the lid and the other gets to press the ‘on’ button. If you give them the right set-up (rice cooker plugged in, pre-measured rice and water), they can learn to do this on their own without you! 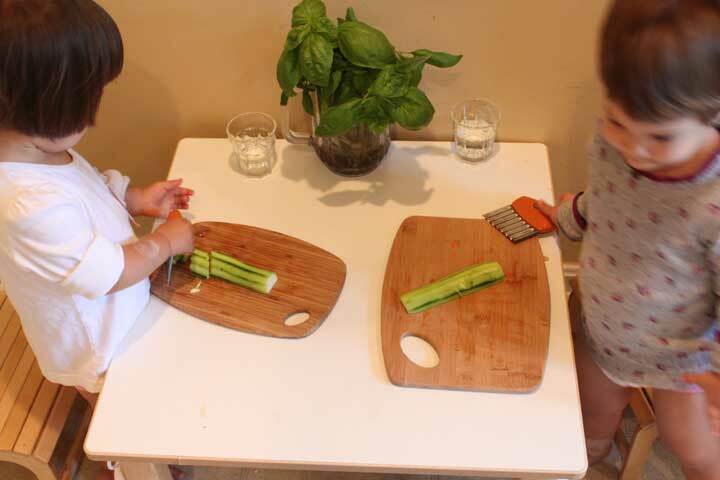 Montessori says, don’t give children ‘pretend’ work because they like real work so much better (this surprised her, she thought it would be the other way around!). Well, this work is easy, real and VERY practical. P.S. Before this point, they’ve been primarily exposed to Chinese. Notice how much they love pronouncing those new English words. Children at this age just love and soak up language. More on language later. There’s usually something I’m cooking that day the children can help with. 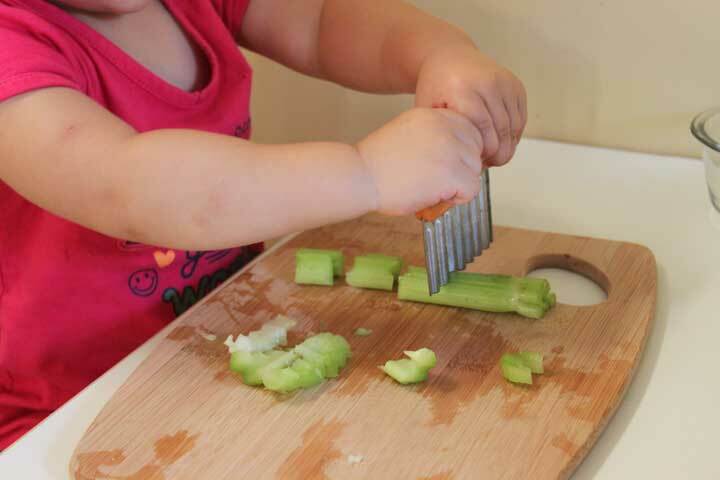 Or I will find items they can cut or peel and cook with those. 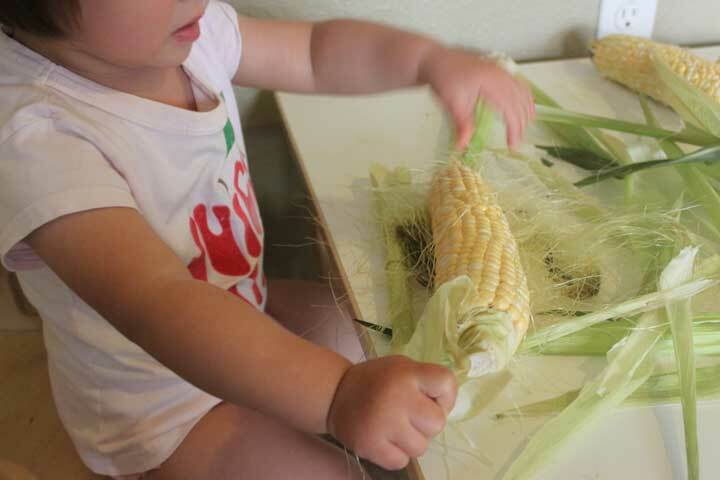 Preparing food gives the child opportunities for concentration, developing fine motor control and you can see in those eager eyes just how much they want to participate in family life. 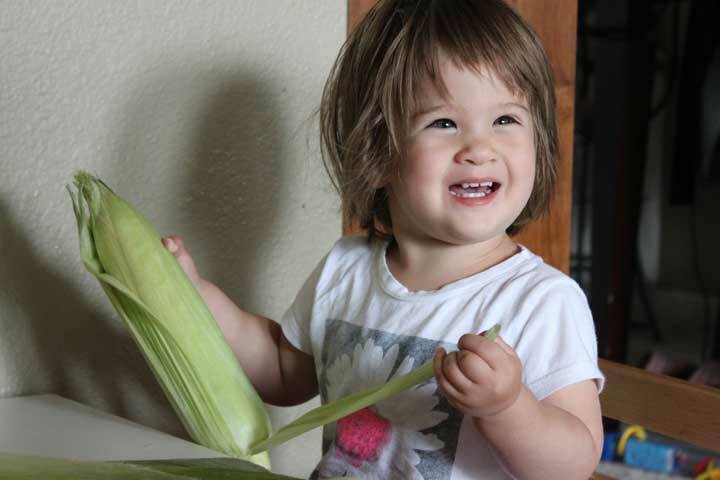 They get so much joy when they get to explore something new and REAL, like the whole corn – husk and all! 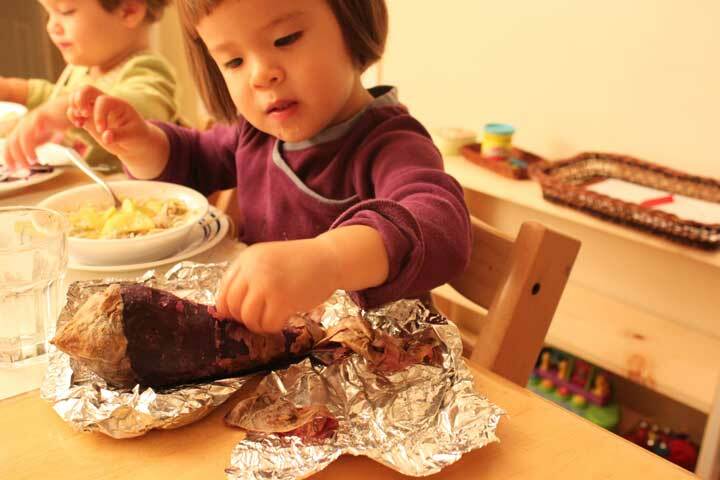 M helps peel a baked purple sweet potato for us at the family table – absolutely delicious!A child can start using a knife as soon as they have the motor skills to do so, but don’t let your apprehension get in the way of letting him/her try. It’s not so different from teaching them to use a pair of scissors (watch the video here). The right presentation goes a long way. Make sure YOU are always holding the handle with both hands when presenting this to the child, because they will do it the way you do it. If you’re wondering what a good Montessori teacher looks like, here is a glimpse of my cousin, Daisy. She is AMI-trained, has 10 years of experience, but her most admirable quality is her constant search to becoming a better Montessori teacher. She came to stay with us for 8 days while we were in Denver and in that short time, she transformed my girls. Before she came, putting things away and cleaning were a hit-and-miss in our house, but while she was with us, it was a constant. I think this video is remarkable. In 16 short minutes, you will see B and M (19 months here) cleaning crumbs off the floor, clearing the plates and utensils, wiping their table mats, wiping the table, putting things away and washing their hands. But what you will experience is how Daisy asks them to do these things with patience and gentleness. Her language and tone are masterful – never a hint of impatience, aggression or threat no matter what the children do. She is engaged, matter-of-fact and completely present with the child’s process. 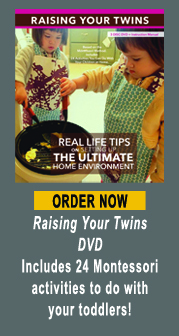 If you’ve ever encountered a toddler who doesn’t do what you ask him to and you don’t know what to do about it, watch this video and learn! 1:47 Daisy asks M to put her dishes away. M walks away. Watch how Daisy handles this. 3:45 B says she’s done eating, then says she wants more. What would you say to her? 5:55 B starts putting dishes in the dirty dish basket. Watch how Daisy directs her. 7:06 Toddler needs a lot of collaboration from the adult. This is how it’s done. 7:18 M starts to take cereal out of the box. 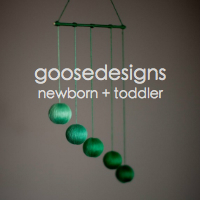 Ever encounter a toddler doing something totally different than what you asked? 9:01: Daisy asks B if she would be willing to help put M’s stuff away. 13:21 B starts to play music in the background and distracts M. What to do? 13:55 Time to wash hands! 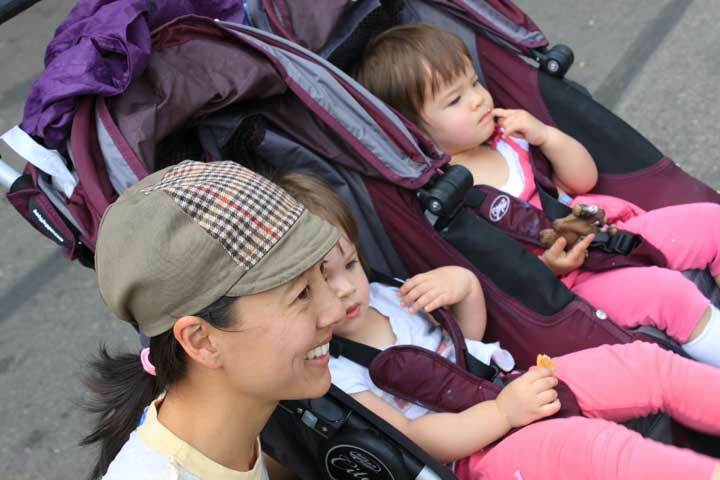 To learn more about Daisy’s Montessori school in San Francisco, click here. I would love to hear your comments about this video. 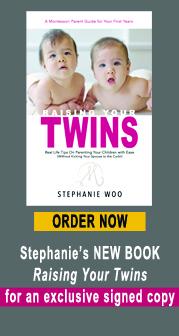 Please send me an email at stephanie@montessorionthedouble.com or post it in the comments section below.